Approximately 474 people are without power in the area of Luck Avenue, South of the Y-Bridge in Zanesville. The area lost power around 6:30 p.m. when a tree fell on a power line, causing sparks and what sounded like an explosion according to nearby residents. David Wheeler, a media representative with AEP Ohio, said that a breaker in the sub-station detected the short wire and kicked everyone’s power off as a safety precaution. At its peak, over 934 customers were without power. The tree was outside of AEP’s land right-of-way, meaning that AEP is not authorized to trim those trees without the owners permission. 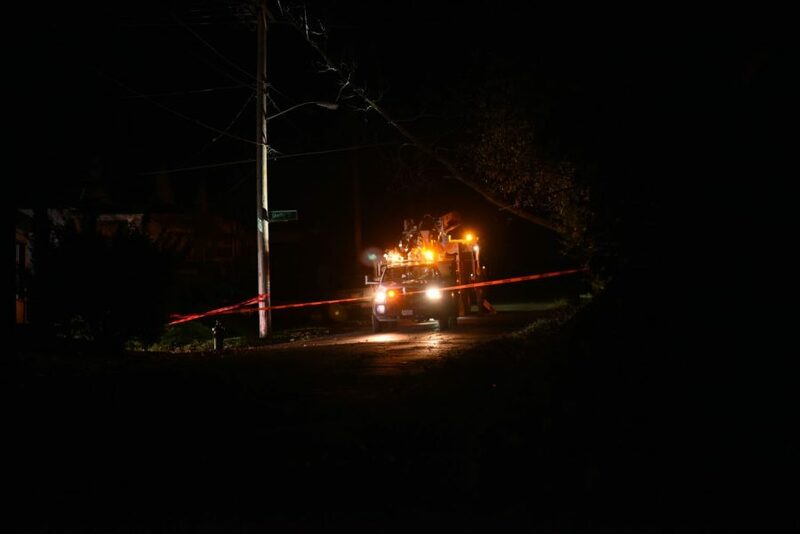 Zanesville Fire arrived on scene, however when they arrived the power was already off and they waited for AEP to arrive. AEP crews are currently on scene and power is anticipated to be restored by 8:00 p.m. Sunday night.